We are home! Vega’s mouth has improved and she has been eating well enough for them to let us go. she kept throwing up the feeds she was receiving through the NG tube so we removed it yesterday, just before being discharged and we went home with a load of nutritional milkshakes and are going to try to boost her calorie and nutritional intake like that. Vega had to have a double blood transfusion in the end, since her counts just kept on dropping and after discussion with the hematologists i agreed because it would have only prolonged our stay at Kings not to do it. 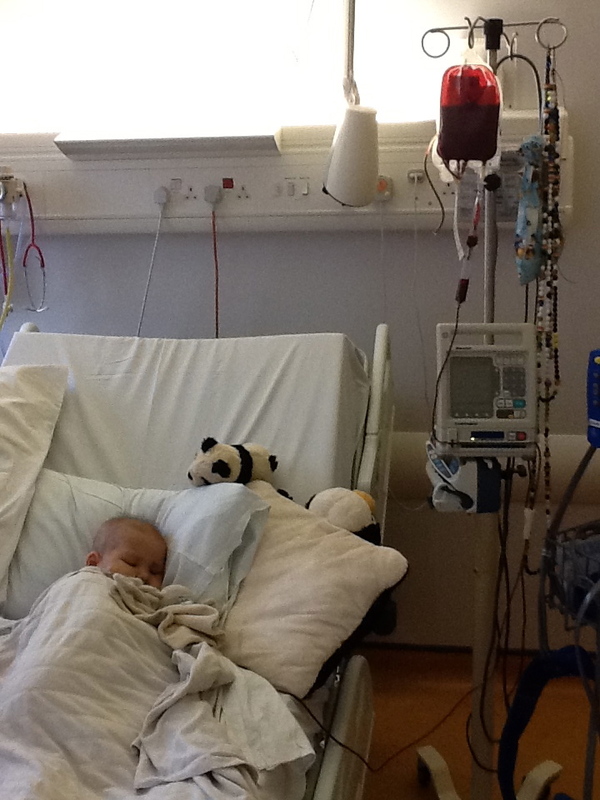 Monday night she had a platelet transfusion followed by a red blood cell transfusion. 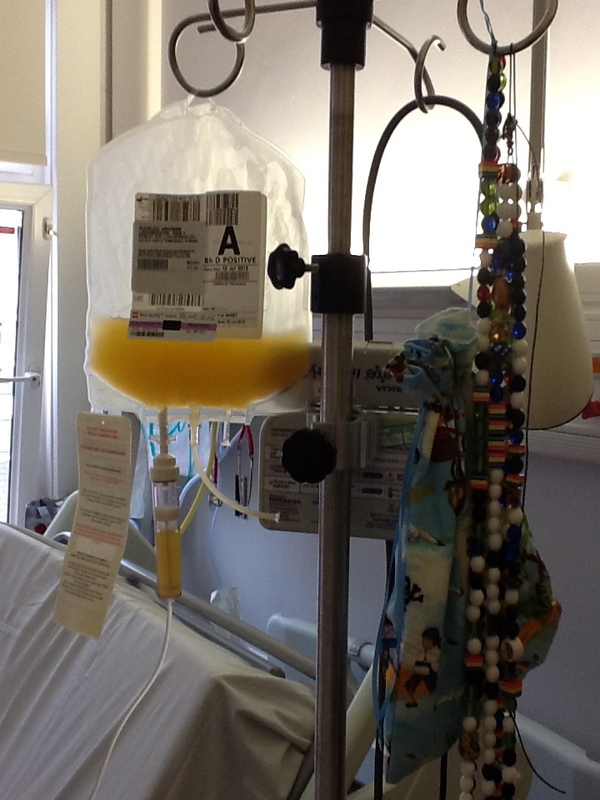 Platelets look a little like cloudy apple juice. Red Blood Cells look like, well blood. the bag is always really cold and Vega says she can feel the cold blood coming in through the port. Transfusions make Vega tired. Duvet needs to be up, because “the blood is so cold”. she also got Vincristine yesterday, but the last dose of escalating Methotrexate was omitted, so we are officially done with Escalating Capizzi! 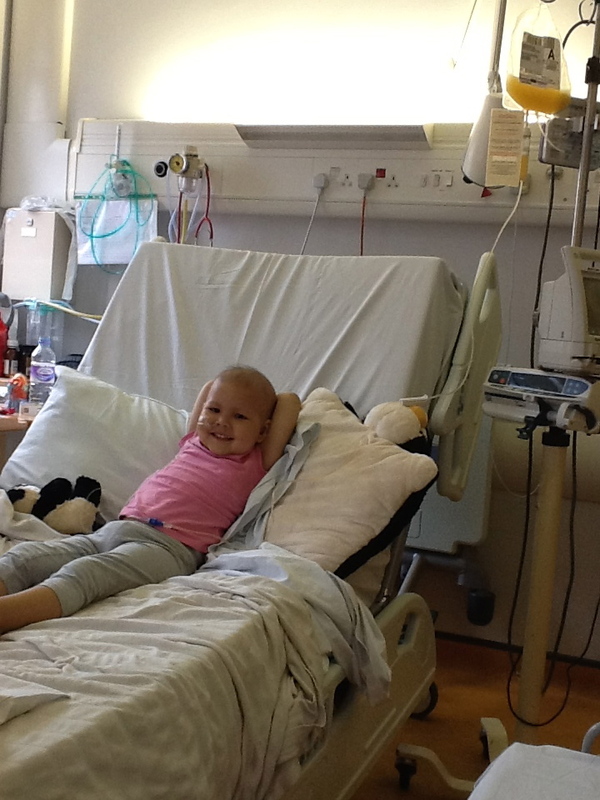 she is now on a two week chemo holiday until we start the next block on the 23rd July, just in time for the summer holiday. she needs a break. she is still neutropenic and her mouth is not back to normal completely. she is a real skinny mimi and it will take a lot of time and patience to get her to eat and to address some of those terrible eating habits that are a result of 16+ weeks of nausea and anti sickness medication. she has numerous bumps and scrapes that she has had for weeks now and that are just not healing. her body has now totally run out of resources. this is the cost of long term chemotherapy- it appears to go quite well in the beginning, she coped fine, looked ok, but now come the hunger years. with each block we are starting a little further down the pit and the sides get muddier and muddier. 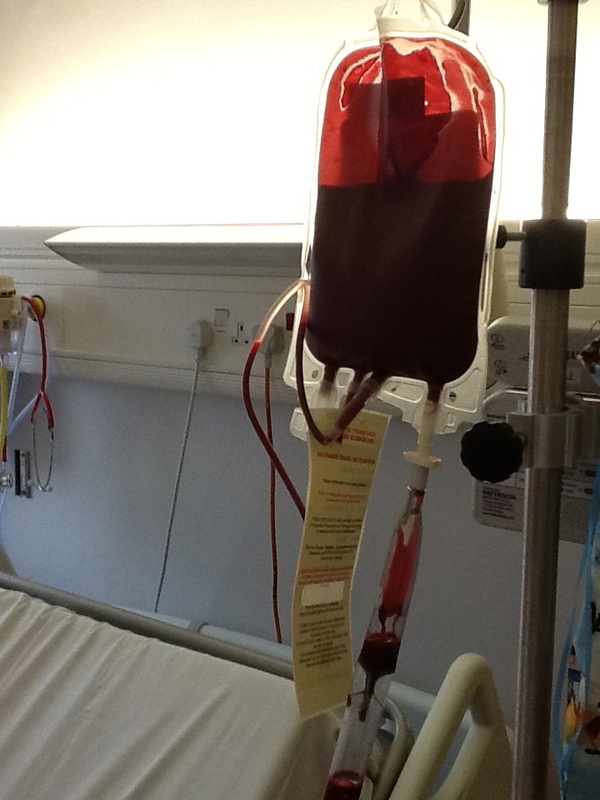 the next block is called Delayed Intensification and comprising two parts- re-induction and re-consolidation so it is essentially a repeat of the first two blocks plus an extra chemo drug that is being newly introduced. it is another tough block, very intense. but after this one is done she will start Long Term Maintenance, which is pretty much the holy grail of chemotherapy. it is still active chemo but it is all about maintaining not destroying like the previous blocks. in maintenance children should feel better, be neutropenic less and even the hair is growing back. we can’t wait. her mobility has also not improved beyond her wobbly walk and on some days it is not even that. she feels very weak and tired which is not helping either so we are waiting for a referral to the community physio team to do some work with her at home rather than just seeing the physio at the Marsden. just after diagnosis, all we wished for was for Vega to survive. now it becomes apparent that her survival comes at a price and that there is a chance she will leave this treatment behind her with long term side effects due to the prolonged exposure to chemotherapy drugs. it is like trying to grow crops in a field with a lot of acid rain. she might have mobility difficulties for a very long time and possibly for ever. but then as i begin to wallow about these things i often find myself thinking “who cares as long as she is here?” but there is such a thing as quality of life and although i think that some mobility problems are not going to cause Vega a big loss of such, i know she is aware and sad about it. by now even Alys, at 16 months, is better at climbing and running than Vega. i anticipate the start of Vega’s school years this september to highlight this even more for her. it is not easy being three, but being three and battling leukemia is even harder. i will attend a care plan meeting with Vega’s new school on friday. our oncology nurse will be there as well as a social worker, the schools’ head, senco and new class teacher. if there will be no more delays (ie long hospital admissions) Vega will have completed delayed intensification in the week she is due to start nursery in september and will start her school career on long term maintenance. it couldn’t be better timing, but still staff need to be aware of special first aid, port care, infection prevention and looking after Vega’s needs. i am excited and worried about Vega starting school in equal measures.